This reclining sectional sofa is the perfect seating arrangement for your casual or traditional living room. It offers all around comfort, and a lovely casual style in its stunning tan micro checker fabric. This sectional features over stuffed arm rests, and fully cushioned chaise pad seats which provide head to toe comfort for all. Over stuffed pillow tops welcome relaxation and provide excellent lumbar support. 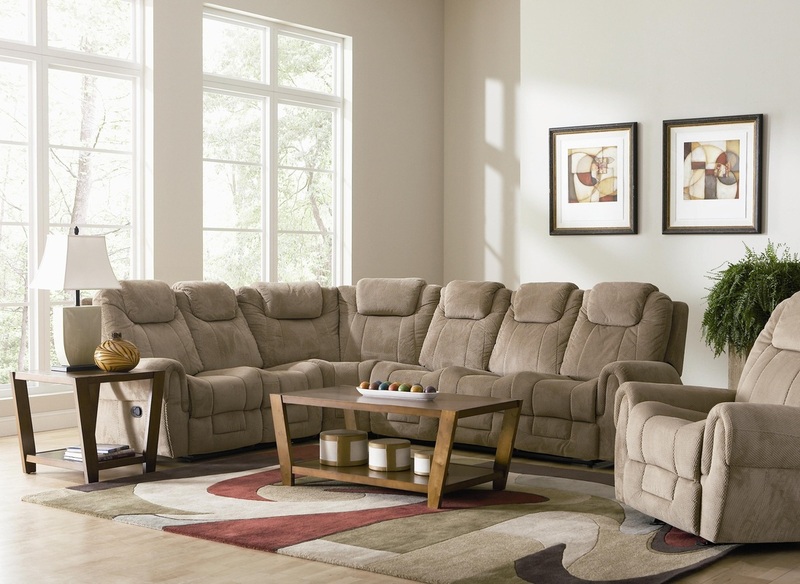 The sectional is comprised of a wedge corner seat, and one-armed love seats on either side. 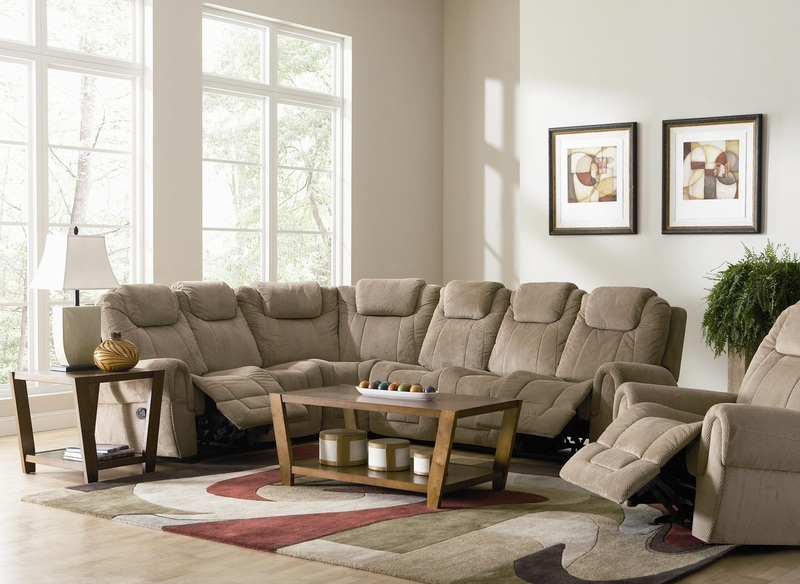 An armless chair sectional component is also available, and can be fit between the wedge and loveseat on one side, both sides, or multiple times together to create a larger and longer sectional. 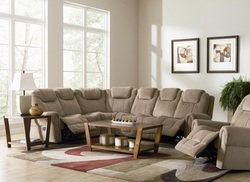 The sectional shown has one armless chair component added on the right side. The versatile design of this sofa is great in a variety of decor schemes and settings from casual to traditional. Pair with the coordinating rocking recliner for a perfect room setting.